I haven’t done much vegan baking. I am more comfortable with eggs and butter. However, this recipe made a delicious, moist cake. Added bonus: no raw egg, so go ahead and lick the spoon. In medium bowl, whisk together flour, sugar, cocoa, soda and salt. In a large bowl, combine oil/apple sauce, hot water and vanilla. Add dry ingredients. Mix just to combine. Add bananas. Pour batter into greased 9-x-13 inch pan. (If your pan is not very deep, you may want to set aside some batter and make 8 cupcakes or so). 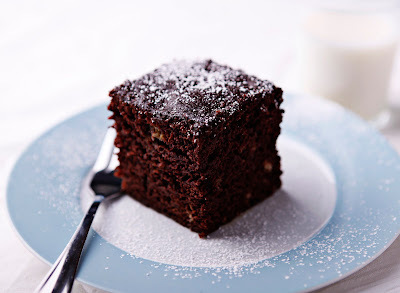 Bake for 50-60 minutes, until a tester inserted in the middle of cake comes out clean. Remove from oven and let cool in pan on wire rack. I buy bananas every week, which means that I regularly have brown bananas. I love the idea of eating fresh bananas. We usually go through 4 or 5 that first day. 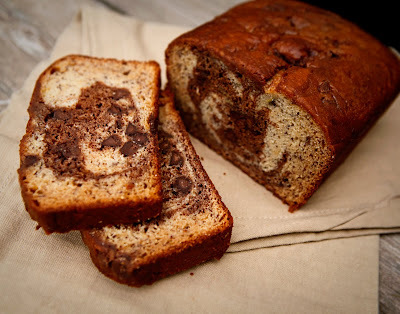 My problem is once they are even the slightest bit over-ripe, they are far too mushy for me…so they sit on the counter for a week, then I start to get a craving for banana bread. Subconsciously, that must be why I buy the bananas in the first place. We took a break from the usual banana bread to try these little bars. The sour cream makes them so tasty. 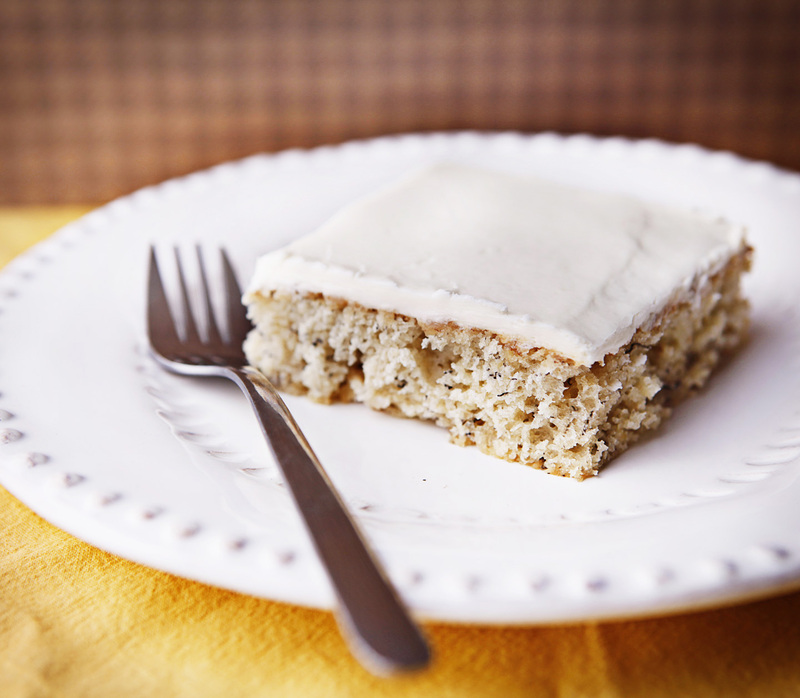 And cream cheese frosting…what doesn’t taste better with a schmear of cream cheese frosting? These delicious banana bars come from Lindsey of Cinnamon Syrup fame. I’ve tried many of her recipes…she has a knack for picking good ones. Cream sugar, butter and eggs. Add sour cream and vanilla. Combine and add dry ingredients. Mash then stir in bananas. Bake at 350 for 20- 25 minutes in a jelly roll pan. I love a good banana bread. 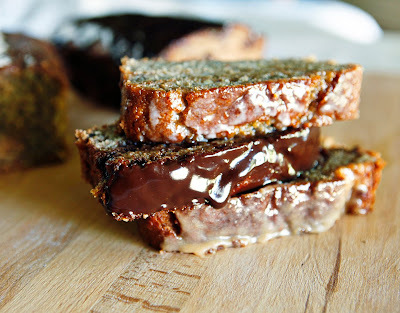 THIS is a good banana bread. Delicious warm out of the oven. Just as tasty cold from the fridge two days later. Next, I think I’ll try it toasted and slathered with peanut butter. Place 1/2 cup of chocolate chips in a medium microwave-safe bowl, and microwave at HIGH 1 minute or until almost melted, stirring until smooth. Cool slightly. Add 1 cup batter to chocolate, stirring until well combined. Add remaining 1/2 cup of chocolate chips to chocolate batter. 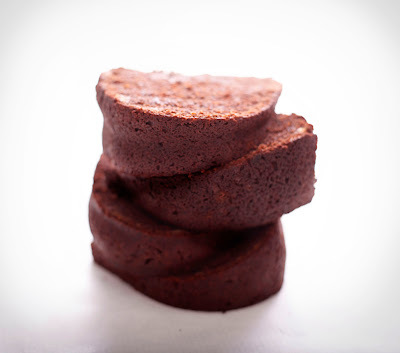 Spoon chocolate batter alternately with plain batter into a loaf pan coated with cooking spray. Swirl batters together using a knife. Bake at 350° for 1 hour and 15 minutes or until a wooden pick inserted in center comes out clean. This is a delicious and different way to use up your over-ripe bananas. Preheat oven to 350. Butter and flour a standard size bundt pan. Sift together flour and unsweetened cocoa powder. Dust pan. Mix together the bananas and sour cream. Set aside. Whisk together the flour, cocoa, baking soda and salt. Using an electric mixer, beat the butter and sugar until pale and fluffy, then beat in the eggs, one at a time, beating well after each addition. Beat in half of the flour mixture. Beat in the banana mixture, then beat in the remaining flour. Fold in chocolate chips. Pour batter into the prepared pan and smooth the surface. Bake for 55-60 minutes, until well risen and cake tester comes out clean. Allow to cool in pan 10 minutes. Invert onto wire rack and cool completely. 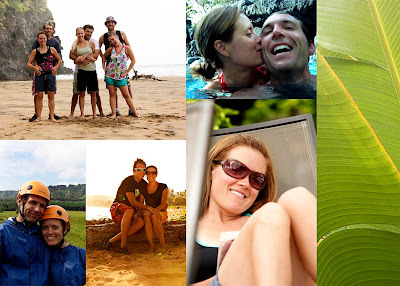 We travel to Southern California about every other year. Each time, we stop for the night in Las Vegas. We make it a point (an extremely important point) to stop at a certain cheesecake restaurant while we are there because it is (was) the closest one to us. One of my favorite things to eat there: banana cream cheesecake. Supply and demand is a funny little thing. When it took 6 hours to get to said restaurant, we made a ceremonial trip. Well, one opened 15 minutes from my house a little over a year ago. Do you think we’ve stopped in yet? Now that I found this recipe, we may not need to! Heat oven to 300ºF. Reserve 1 cup dry cake mix. Mix remaining cake mix with 1 egg, oil and 1/3 cup brown sugar with mixer. (Mixture will be crumbly.) Press onto bottom and 1 inch up sides of greased 13×9-inch baking pan; top with bananas. Beat cream cheese and remaining brown sugar with mixer. Add reserved cake mix, remaining eggs and lemon juice; beat 1 min. Blend in milk. (Batter will be VERY thin.) Pour into crust. Bake 45 to 60 min. or until center is almost set. Start checking at 45 minutes. Just open the oven door and jostle the pan a little. Cool. Refrigerate 4 hours or overnight. 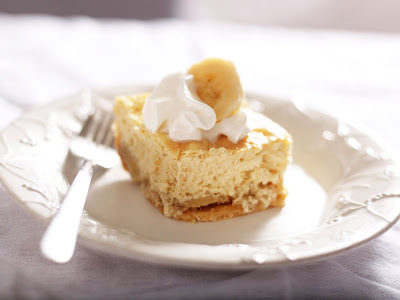 Top with whipped cream and a sliced banana. Store leftovers in refrigerator. Preheat oven to 350. Combine all ingredients in bowl of mixer. Beat together until light and fluffy. 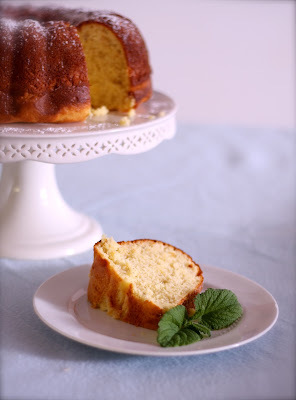 Bake in greased Bundt pan for 40-50 minutes, until a cake tester inserted in the middle comes out clean. Invert and cool on wire rack. Dust with powdered sugar to serve. 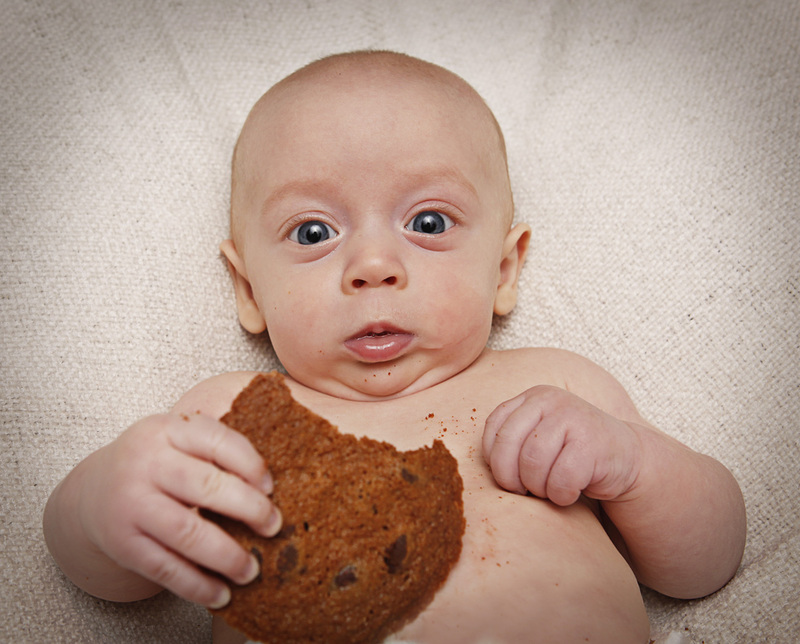 Did you all know that October is national cookie month? I must admit I had no idea. 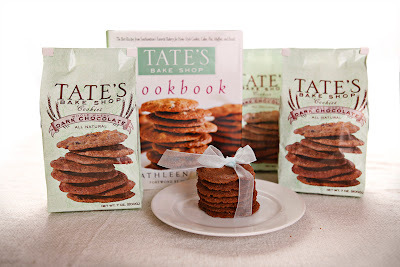 When the good people at Tate’s Bake Shop contacted me about doing a review and hosting a giveaway to commemorate this glorious month of cookies, I was thrilled. Mainly because they promised to send me some cookies to sample. We tried the Whole Wheat Dark Chocolate cookies last night. I’ll admit, my cookie preference is generally for a soft, chewy cookie. Having said that, these thin, crispy cookies really are delicious. 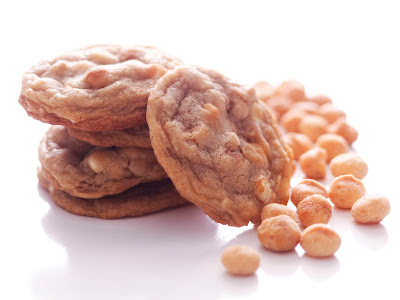 The most impressive thing about the cookies (aside from the delicious flavor) is their list of ingredients…dark chocolate chips, whole wheat flour, butter, sugar, brown sugar, eggs, soda, salt, and vanilla. Sounds like my recipe…minus the whole wheat flour. No “HIGH OLEIC CANOLA OIL AND/OR PALM OIL AND/OR CANOLA OIL, AND/OR SOYBEAN OIL” (copied from the online ingredient list of oreo cookies). And you can definitely tell they are made from natural ingredients. The cyclist was impressed he could taste the butter. My oldest actually commented on how good the aftertaste was. (random…I know…). But no chemicals and no preservatives. Tate’s Bake Shop will send one lucky reader THREE bags of Tate’s Bake Shop’s Whole Wheat Dark Chocolate Chip cookies along with a signed copy of Kathleen King’s cookbook, The Tate’s Bake Shop Cookbook†. I’ve browsed the cookbook and can’t wait to try the Banana Chocolate Chip Muffins, Double Peanut Chocolate Cookies, Raspberry Squares, cream cheese brownies, sour cream pound cake…really, all of the recipes are right up my alley. To be entered in the random drawing, leave a comment by Saturday, October 15th, telling me your favorite cookie making secret *. You get an extra entry if you Follow Tate’s Bake Shop on Facebook or Twitter (just let me know you’re following them in your comment). As a bonus, for the rest of the month of October, my readers can get 15% off their total order by using the promo code “COOKIE”. How about some blondies, pumpkin tea loaves, gluten free brownies? Stay tuned. The winner will be announced on Monday morning, October 17. My girls told me these pancakes are their new favorite (but they tend to throw around the word “favorite” pretty liberally… actually to describe just about anything I bake for them). In a large bowl, stir together the flour, sugar, baking powder, baking soda and salt. In another bowl, whisk together the milk, egg, melted butter and vanilla. Pour the milk mixture into the flour mixture and stir until no lumps are visible. Heat a griddle over medium heat. Lightly grease (I spray with Pam) pan. Using a Tablespoon measure and working in batches, drop small rounds of batter onto the pan. Cook the pancakes, turning them once with spatula, until golden on both sides, about 3 minutes total. Transfer to a platter and keep warm in a 250 degree oven. Repeat with remaining batter. 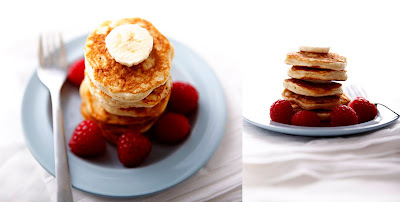 To serve, make stacks, layering a thin slice of banana between each pancake. Drizzle with syrup or serve with berries. You may have noticed that there has been a bit of a baking embargo in my kitchen. Something about me trying to squeeze my body into a swimming suit (the cyclist parades around in spandex most of the time, so he is very much at home in a Speed-o). Well, we just returned from Paradise. No more bathing suits until summer. Get out your mixers and preheat your ovens! Combine flour, soda and salt in a small bowl. In bowl of electric mixer, beat butter, sugars and vanilla until creamy. Add eggs, one at a time, beating well after each addition. Gradually beat in the flour mixture. Stir in chocolate and nuts. Chill dough thoroughly (about 4 hours). Preheat oven to 375. Drop dough by rounded tablespoonfuls onto ungreased baking sheets. Bake for 9-11 minutes, or until light golden brown. Cool on baking sheets for 2 minutes. Remove to wire rack to cool completely. This recipe is for you, Luke, to help you use up the two suitcases worth of macadamia nuts that you brought home.